!! OMG, quote of the day: Adam Driver knows he flooded basements during his shirtless scene as Kylo Ren !! – Adam Driver, on the necessity of being shirtless during his scene as Kylo Ren in Star Wars: The Last Jedi! 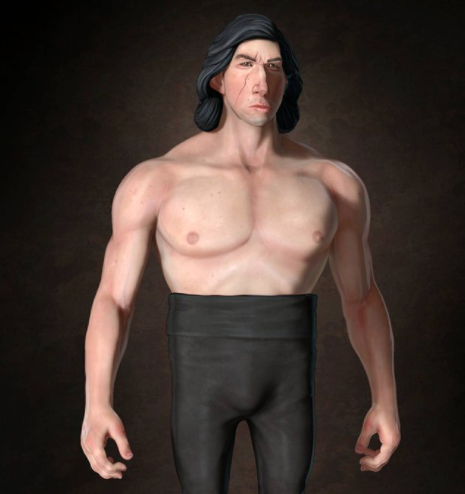 2 Comments on "OMG, quote of the day: Adam Driver knows he flooded basements during his shirtless scene as Kylo Ren"
Is he suggesting people found him that attractive physically, or is that just your headline claiming that? Because, the face is at best average, and his body is oddly shaped with everything visible in a shirtless scene out of relative proportion to the whole. The caricature manages to flatter him, and that’s not a compliment.